If you are looking for Mobile Mechanic Auto Repair Cypress that will come or travel to you to fix your vehicle or do pre-purchase used car buying inspection at home or any location near you. Just click on your state and call Mobile Mechanic Auto Repair Cypress that will be happy to serve you at your convenience. Well, whatever the case, auto-mechanics is what I am best at, and that's why I became an auto mechanic in Cypress, TX. We understand that your vehicle is a major investment, and that is why we care for each customer’s vehicle as if it were our own. Not only do we perform quality automotive repairs, but we also offer Towing and Roadside Assistance as well! We are well-equipped with a light duty wheel lift tow truck capable of towing vehicles with a rating of one ton or less. We also have dolly wheels for towing those vehicles that require both axles be off the ground. Need a tire changed or a jump start, call us. We’ll try hard to make your breakdown wait time as short as possible. So we keep all that in mind when you call. We genuinely care and want to get you back on the road as soon as possible. 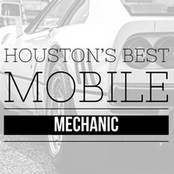 Cypress Mobile Mechanic: 713-497-1202 Mobile Mechanic Cypress, TX.